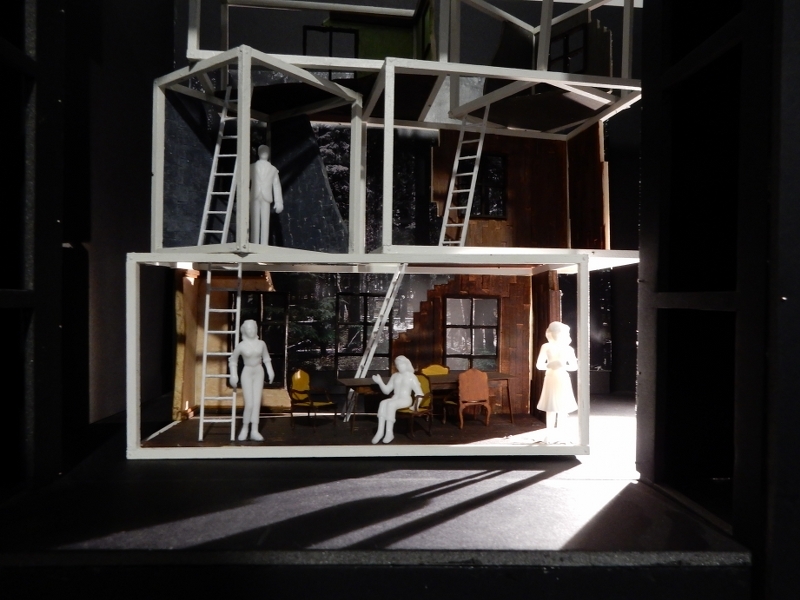 Its always inspiring to see graduates’ work, but this particular show was a real credit to the students on the MA Theatre Design program at Wimbledon this year. The discipline of theatre design takes some real skill, as it combines so many factors; interpretation of the narrative, understanding the characters costume, working with the existing theatre stage and its mechanics, setting the mood with lighting, and delivering this all with a strong dramatic stylistic sense. Not for the faint hearted by far. 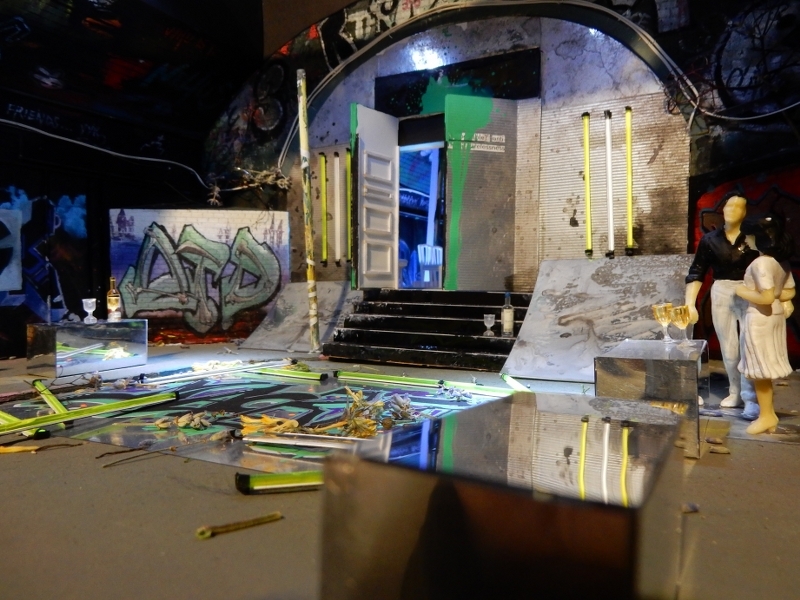 By using scale models, the students brought all these elements to life and painstakingly captured each scene change with a series of mini environments. 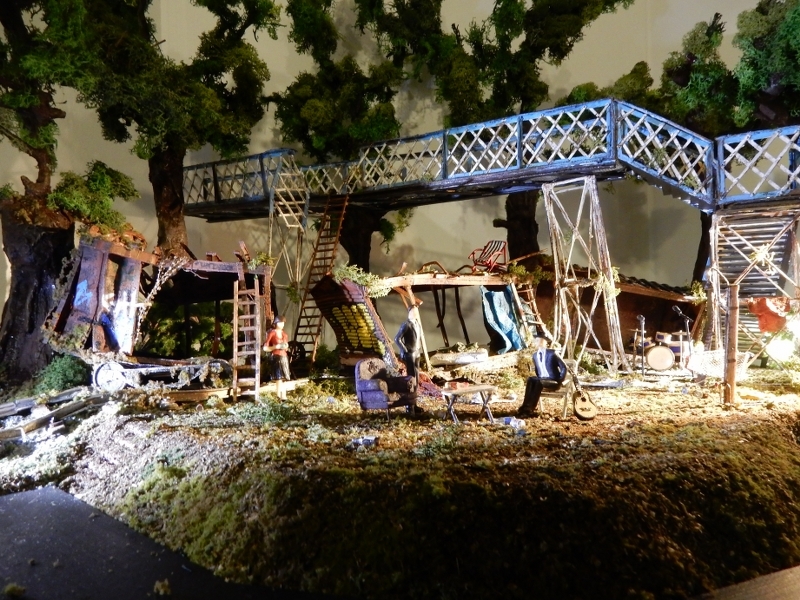 Seeing each of the miniature moments gave an insight into the working process of the future theatre designers and a transported you into alternative worlds. 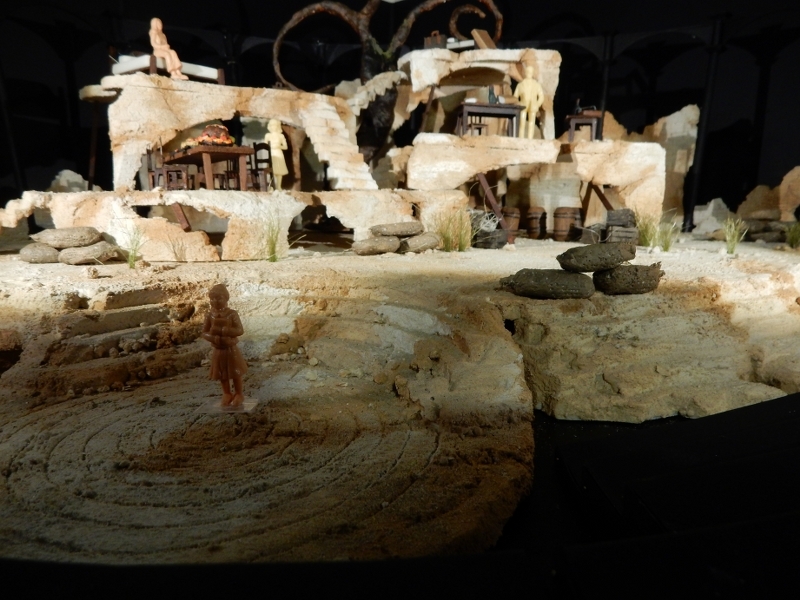 The use of scale models also provokes a childlike excitement in anticipation for the eventual scaled up dramatic performance.